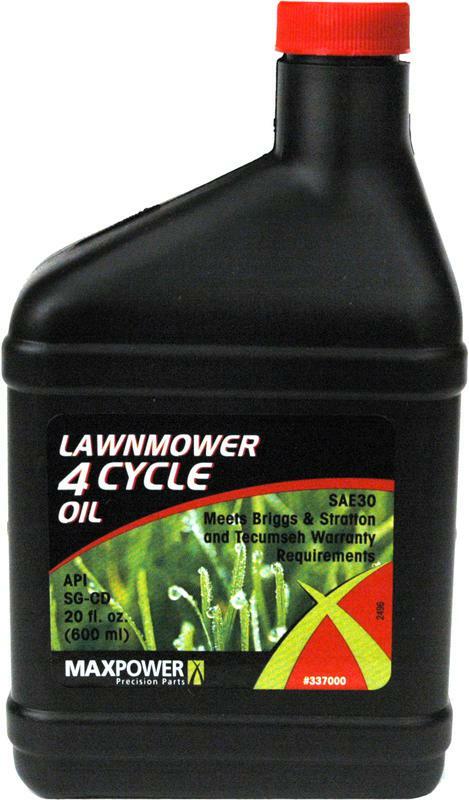 SMALL ENGINE 4-CYCLE OIL Premium quality SAE grade 30HD detergent oil Convenient premeasured container 337000 20Oz 4 CYCLE SAE 30 OIL SIZE:20 Oz. Moda Flame™ Moda Fuel pure bio-ethanol fuel for ventless fireplaces is your best choice for both indoor and outdoor use. It is the cleanest burning smokeless fireplace fuel on earth. Moda Flame™ Moda Fuel was created especially for indoor ventless fireplaces and is completely 'Planet-Friendly'. 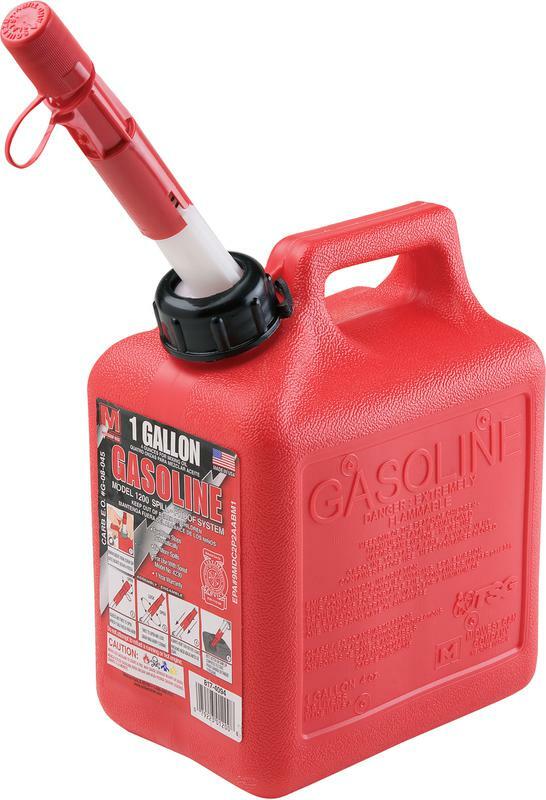 It is a clean, sustainable bio-ethanol fuel specially formulated to provide the most beautiful fire possible while complying with all regulations required by U.S. Government agencies. The only by-products created when burning Moda Flame™ Moda Fuel are water vapor and very small amounts of carbon dioxide, similar to human breath. No toxins or offensive fumes are emitted while it burns - the flame is clean and odorless. 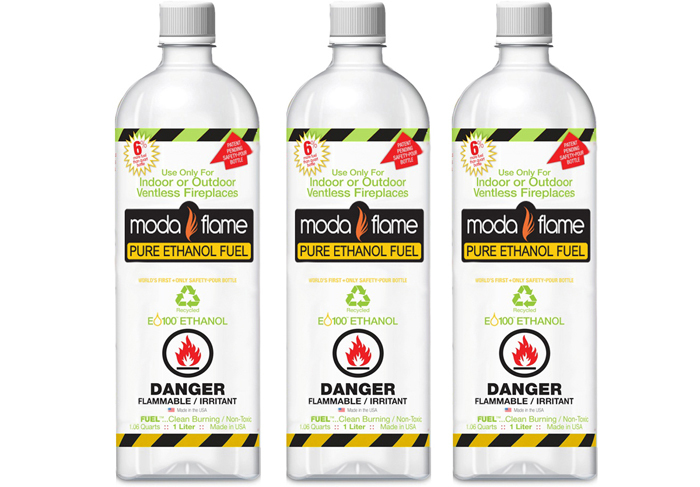 Moda Flame™ Moda Fuel burns efficiently and there is no oily residue left in the tank to clean up as with other bio-ethanol fuels which contain petroleum distillates. 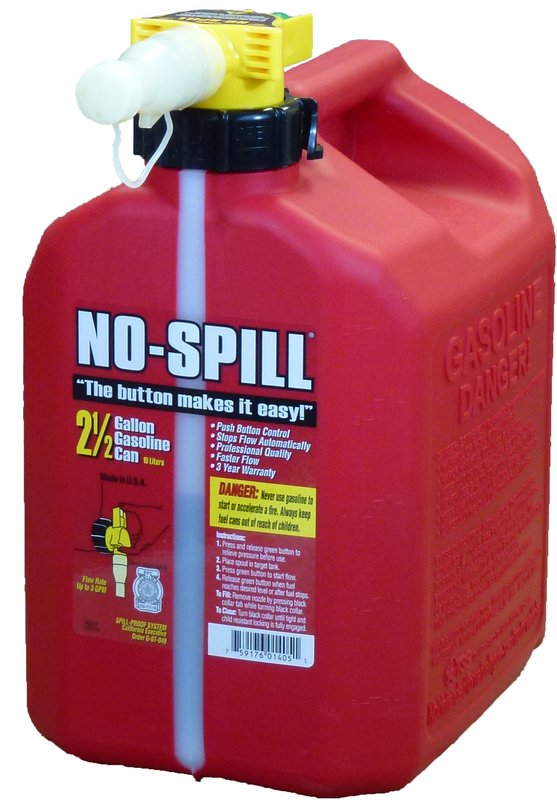 Moda Flame™ Moda Fuel is the ONLY fuel on the market with exclusive SAFETY-POUR™ technology - which provides the safest possible flash-free transfer of fuel from the bottle to the fireplace tank. For child safety,BITR™is added as a human aversive. It's overwhelming bitter taste helps prevent accidental ingestion by children and small animals. 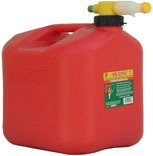 We recommend ONLY using Moda Flame™ Moda Fuel liquid ethanol fuel for ALL ventless ethanol fireplaces. 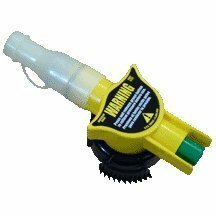 Like any flammable liquid, it is classified as a hazardous material (HAZMAT) and is shipped under an ORM-D classification. The proprietary formula has been thoroughly tested by an independent laboratory; it does not emit hazardous vapors or pollutants when burned. 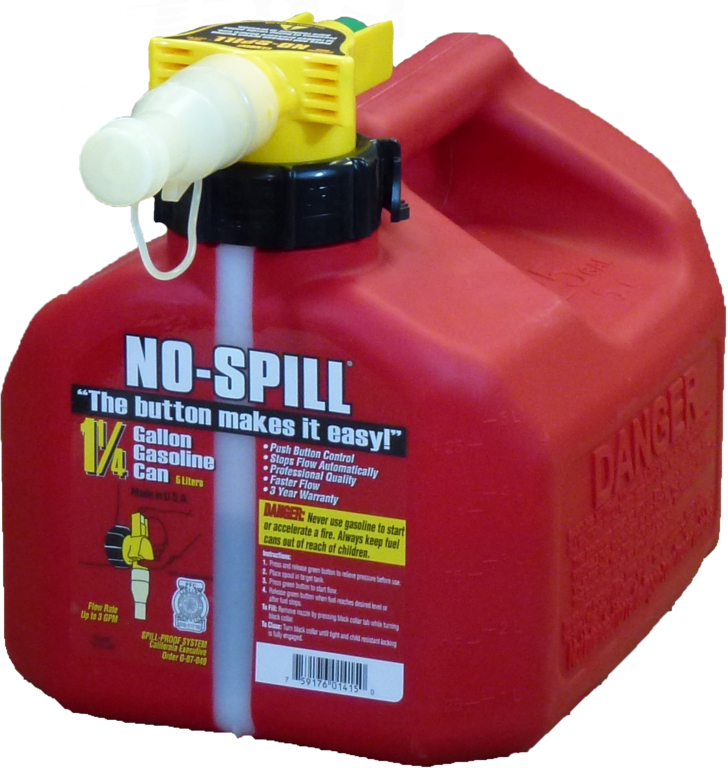 Moda Flame™ Moda Fuel is laboratory tested and certified for both it's SAFETY-POUR™ technology, and it's clean, toxic-free exhaust for indoor burning. The fuels offered are created specifically for bio-ethanol ventless fireplaces. 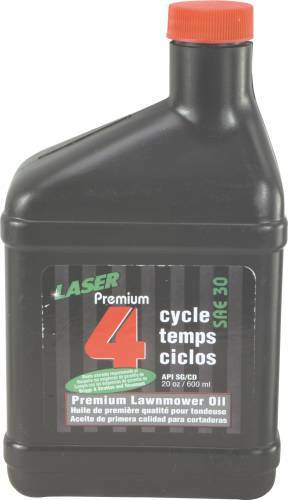 It is a fuel specially formulated to provide the cleanest and safest fire possible. 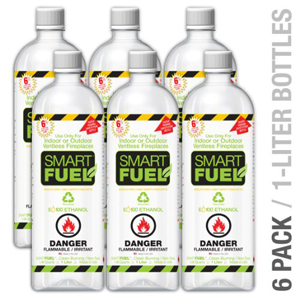 SMARTFUEL™ is Laboratory Tested and Certified for both it's SAFETY POUR™ technology, and it's clean, toxic free exhaust for indoor burning... providing consumer 'peace of mind'. Laboratory Certification & MSDS are available online. 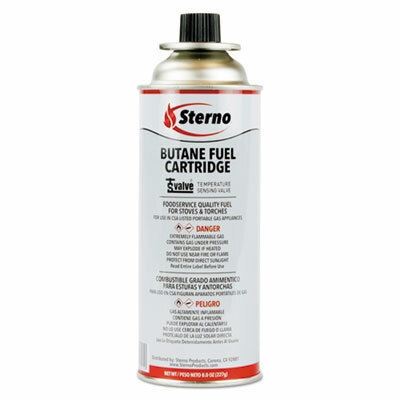 Use LIQUID FUEL** with SoHo, Chelsea, Metro, Gramercy, Tribeca II, Madison, Lexington, Hudson. 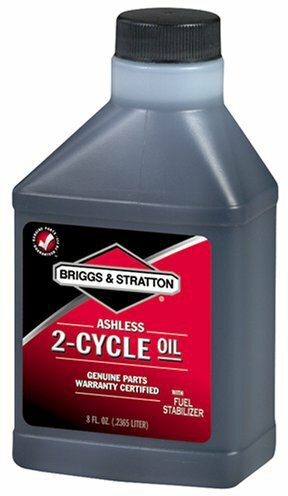 2-CYCLE EASY MIX Ashless oil Can be added to 1 gallon of fresh gasoline Appropriate for any mix ratio up to 50-1 100037 3.2Oz EASY MIX OIL SIZE:3.2 Oz. 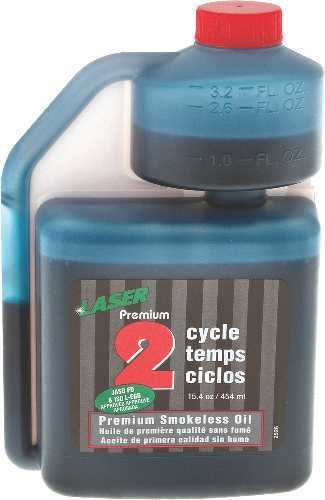 2-CYCLE ASHLESS OIL Ashless formulation that leaves no residue Prevents plug fouling and engine deposits For use in air cooled 2-cycle engines Recommended for Lawnboy, Toro, Ryan & others Prediluted to mix with lead/unleaded gas May be used in oil injected systems Environmentally friendly 6-pack 272075 8Oz 2 CYCLE ASHLESS OIL SIZE:8 Oz. 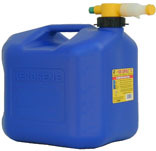 Contains 100g of Primus+ gas mixture, 4 Seasons. 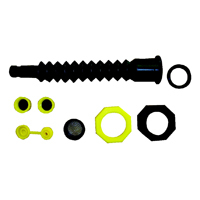 The cartridges are equipped with self-sealing, safety valves and internationally standard screw threads. 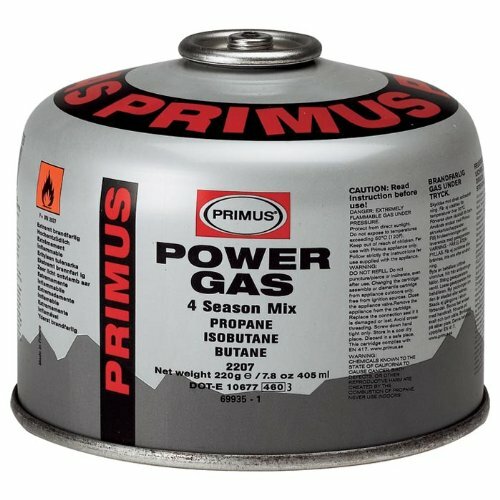 Contains 230 g of Primus' gas mixture, 4 Seasons. 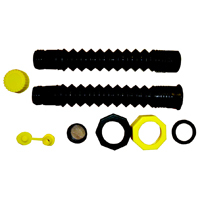 The cartridges are equipped with self-sealing, safety valves and internationally standard screw threads. 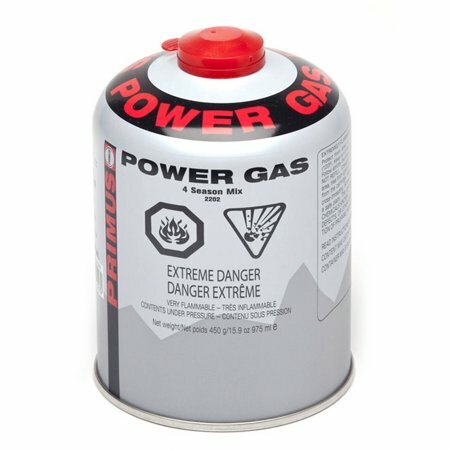 Butane fuel cartridges are long-lasting, working for either two hours on a high setting or four hours on a low/simmer setting in a portable stove. 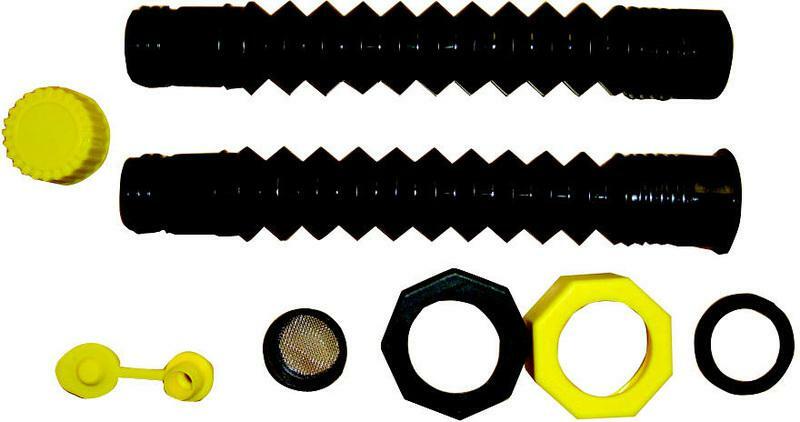 They have an added odorant for scent detection and added safety. Their universal design works with all stoves and culinary torches that accept 8-ounce cartridges. 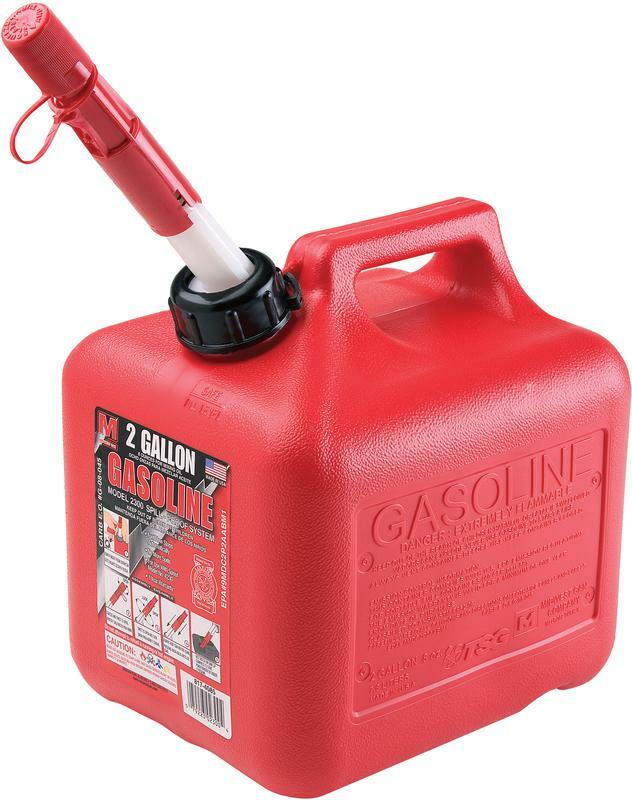 Fuel Type: Butane; Physical Form: Liquid; Capacity (Volume): 8 oz; Packing Type: Can. 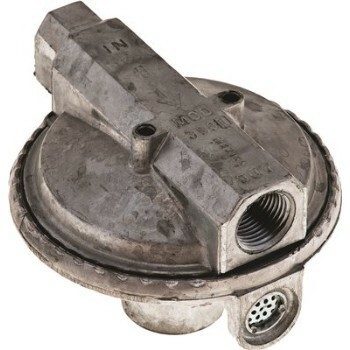 WATER-BLOCK SPIN-ON FILTER For use with Gasoline or diesel fuels Filters microscopic particles-10 microns Also absorbs water from fuel Restricts fuel flow as water is absorbed This signals need for new filter Max working conditions 50 psi or 12 gpm Ideal for farm/construction/service station Top cap with 1" fitting 596 SPINON FUEL FIL WTR BLOCK SIZE:7-1/2"x3-3/4"